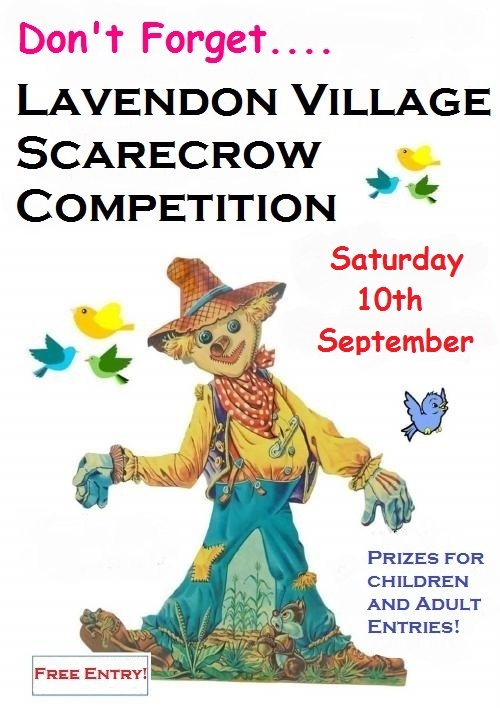 The Lavendon Show will take place on Saturday, 10th September. The Show will as usual include the annual Scarecrow Competition, open to Adults and Children alike. Posted on Tuesday, 19 July 2016 by Editor •	This entry was tagged Events, Lavendon Show, Scarecrows. Bookmark the permalink.